Thames & Hudson, 9780500021705, 352pp. 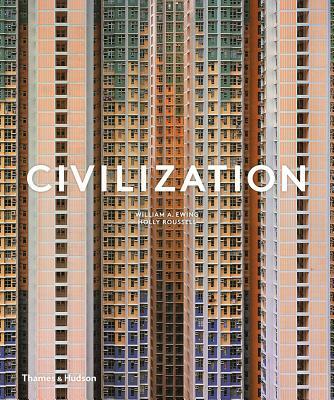 Eight thematic chapters are led by breathtaking imagery accompanied by essays, commentaries, and captions that illuminate the theme.The chapters, including "Hive", "Flow", "Rupture" and "Escape", explore the many faces of our shared civilization. From how we move goods and peoples to the complex relations of close-knit living, Civilization looks beyond the surface to the workings of the world, at the ways we live, work and play and at what happens when it all breaks down.